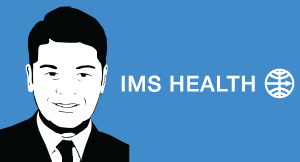 Healthcare is undergoing a major transformation and IMS Health, a multi-billion supplier of health care and prescription data along with related services, is responding by putting Chief Digital Officer Richie Etwaru at the helm of a digital transformation effort that involves connecting health care strategy with more efficient delivery mechanisms based on aggregating and using the right kind of data. As a Chief Digital Officer, one of the fastest-growing C-Suite roles in the enterprise, and the author of a new book, Corporate Awesome Sauce: Success Rules for Generation Y, Etwaru offers guidance for executives to be able to adapt and deal with this digital transformation that will impact every business of every size. Gartner reported that by the end of 2015 one-fourth of all enterprises will have appointed a CDO. According to e-Marketer, the number of chief digital officers will double in 2015 to 2,000 worldwide. In his book, Etwaru explores the necessary leadership traits that are required to drive meaningful change, by staying adaptable, intellectually curious and collaborative. These leadership attributes will ultimately shape a successful business transformation journey that for many companies will be led by the chief digital office. 1. Find the operating corridor - When it comes to undertaking a digital transformation, Etwaru says you need to find the operating corridor and it starts with the CEO who has the foresight that the business model that you have today is not going to withstand the test of time. These CEO's will be able to push back on a board or stakeholder and are okay with delivering less than amazing results for a few quarters to ensure their company is around for the next 30-60 years. "I think when you can find that operating corridor; you're going to be a CDO that's going to have fun. If you don't have that operating corridor you're going to have a difficult time with the balancing act of achieving quarterly performance from existing revenue streams while putting in place a 20-year strategy," says Etwaru. 2. Prevent 'Kodak Moments' - The point when you realize that your P&L has completely evaporated because someone has replaced your products or services with something that is coming up from an entirely new set of forces in the marketplace is what Etwaru calls a "Kodak Moment". He is referring to the fact that Kodak could have figured out digital photography if they weren't so worried about the revenues that would come from the film business - this was their Kodak Moment says Etwaru. Etwaru feels it is the CDOs responsibility to keep companies from having their Kodak Moments. He says that the CDO needs to act as an evangelist in the P&L to ensure that companies are not mistakenly leaving opportunities on the ground within the new economies that are being created by digital opportunities. The second piece is to act as an advisor to customers that are going through their own transformations by helping them figure out how to avoid their own Kodak Moments. "The marketplace is changing for our customers and as a result we have to understand how our customers are experiencing that change so that we can build products and services to help them through that change," says Etwaru. 3. Obsess about next generation P&L - Etwaru says that the core or the primary goal of a Chief Digital Officer is to think about the next generation P&L, where more of the revenues will be coming from new market opportunities as opposed to market opportunities that would have funded value creation historically. Etwaru thinks that the fundamental difference of a Chief Digital Officer, compared to other C-Suite roles, is that 49% of what you do is the work of a general manager. Because you are essentially starting a new company that has more digitally-influenced products and services that run the P&L, a lot of time goes into looking at bringing new products and services to the marketplace and building profitability. Of the remaining 51%, he thinks 26% of that is somewhere around CIO/CTO responsibilities, and then the remaining 25% is just outright innovating. "You have to out-think, outsmart, out-innovate, outplay and out-maneuver the competition to the new marketplace before they can even figure it out," said Etwaru. 4. Bring on the coolness factor - Thinking of coolness as an asset that can move through an organization, Etwaru says that part of a CDO's job is to make companies cool. According to Etwaru, "The bane of my existence is to make sure that we don't go out of business, so my role as a Chief Digital Officer is to supply these assets - coolness, innovativeness and forward thinking capability - to a set of distributors - product people, marketers, go to market, financial, reengineering of a P&L - to amplify them." 5. Think horizontally - "Cool is not the only currency," admits Etwaru. There is of course other currency that distinguishes the CDO role, one of which is thinking horizontally vs. vertical. While other roles, such as CIO and CMO are sort of horizontal, they are still mostly vertical. Etwaru says the CDO role is really horizontal. With zero staff, he takes staff from various verticals to create new opportunities and fill the operation corridor to make transformation happen. Having an 'a-ha!' moment during our interview, Etwaru describes the transformation that has to happen: "It's really like starting a new company to cannibalize the one that you have." When looking for candidates for the role of CDO, Etwaru recommends looking for people that have done different things, performed different functions and have worked across different industries. He says, "This is not the type of job that has a vertical trajectory. On any given day I am meeting with product, marketing, communications, operations, compliance and legal. It is a very horizontal looking job." 6. Eat, breathe, sleep innovation - One of the most important questions within the context of the CDO is 'can you transform digitally without being innovative?' In order to find digital revenue streams on top of the analog type streams that you've had in the past; Etwaru says you need to be innovating all the time. Can you haphazardly land on some and not necessarily innovate? It's possible, he says, but innovation is a big part of what he does as well as reflective thinking of the customer's journey: "I need to be able to study what we sell, why people buy it, what they are buying from our competitors and what would they want to buy tomorrow. Then, based on a set of inventions that are there - mobile, social, Internet of Things, wearables - how can we create the next generation of products for our customers before our competitors." In summary, Etwaru's final recommendation was that all Chief Digital Officers read Ray Wang's new book Disrupting Digital Business: Create an Authentic Experience in the Peer-to-Peer Economy, for help with figuring out how to actually do all the things described in this article. You can watch the full interview with Richie Etwaru here. Please join me and Michael Krigsman every Friday at 3PM EST as we host CXOTalk - connecting with thought leaders and innovative executives who are pushing the boundaries within their companies and their fields.